Publisher: The Vision Tree, Ltd.
Small business strategic planning depends on the leader who can successfully transform, innovate, stabilize, and grow the business. To take a small business to the next level, a S.T.A.R. 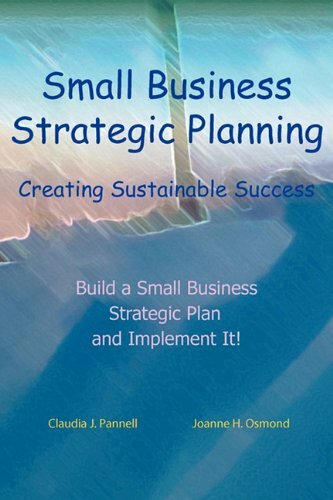 (Strategize, Target, Act, and Reflect) process is used to build and implement a strategic plan. The One-Page Strategic Plan (1-PSP) is a single-page instrument to keep the purpose and direction of the organization in the forefront. Supporting documents include a One-Page Relationship Chart, a 12-Month Cash Flow, and a Seven-Touch Marketing Plan. To ensure that the plan is implemented, a One-Page Action Plan (1-PAP) is utilized. Together they form a successful strategic planning process that is the foundation of creating sustainable success.